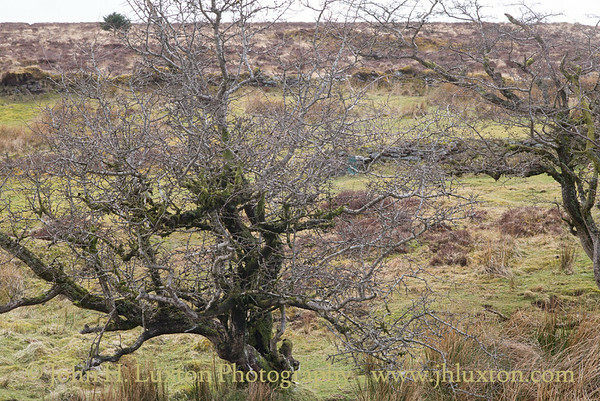 Postbridge is a hamlet in the heart of Dartmoor, Devon. 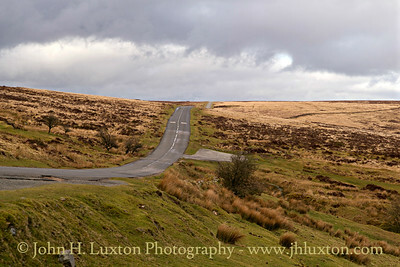 It is situated on the B3212, between Princetown and Moretonhampstead. Postbridge is situated on the East Dart river, one of two main tributaries of the River Dart, and consists of a few houses, a shop, a public house, and a national park tourist information centre. 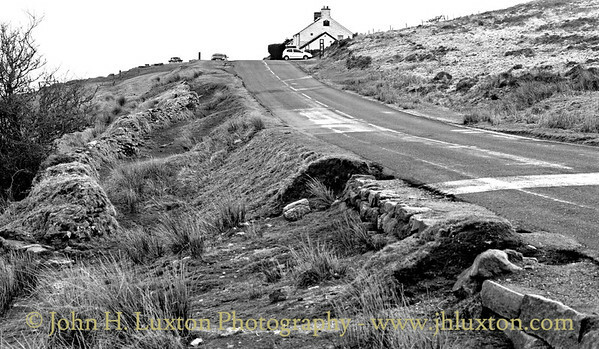 Postbridge is best known for its fine example of an ancient clapper bridge over the river. First recorded in the 14th century, the bridge is believed to have been built in the 13th century to enable pack horses to cross the river, carrying tin to the stannary town of Tavistock. The clapper bridge which is a Grade II* listed structure stands alongside another bridge, a Grade II listed structure built in the 1780s for the Moretonhampstead to Princetown Turnpike. 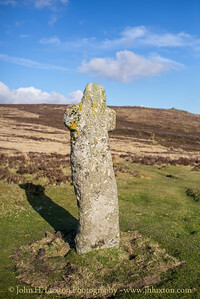 This cross is by the side of the road from Moretonhampstead to Two Bridges, about 900 metres north-west of the Warren House Inn. 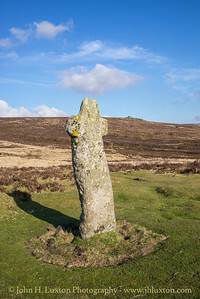 It was probably erected at this spot for two reasons: as one of the markers of this route long before the road was built, and to mark the boundary between the parishes of Chagford and North Bovey, which runs roughly along the same line as the road. 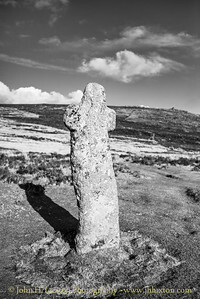 Nothing is known of the early history of the cross, although its crude shape suggests that it is very old. 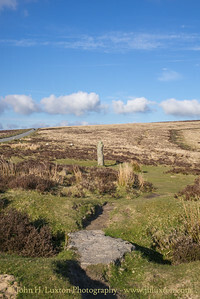 It was later used as a boundary marker for Headland Warren ("WB" carved on one face stands for "Warren Bounds") and as one of the bounds of the mining sett of Vitifer Mine. 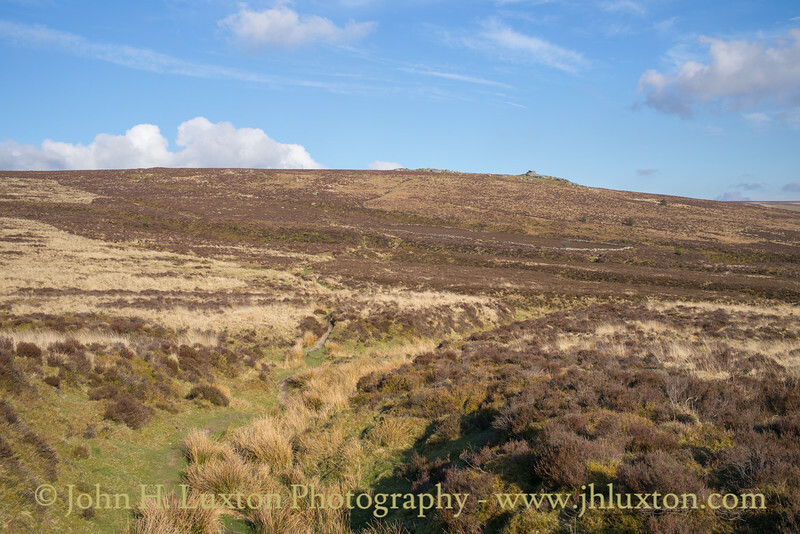 Its survival here is probably due to its use as a boundary marker: two similar crosses further along the road towards Two Bridges are known to have been removed in the 19th century. The origin of the name is not known. 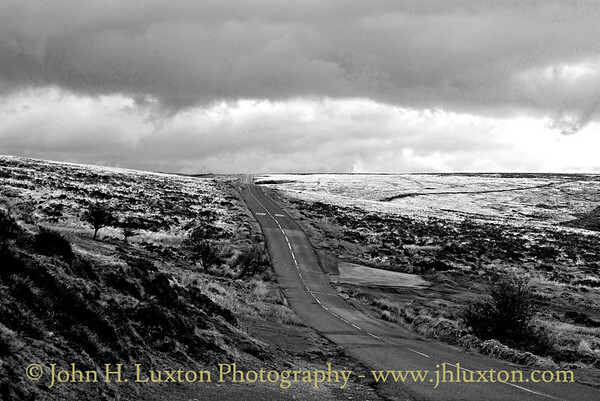 In 1902, William Crossing, the well-known writer about Dartmoor, reported that it is mentioned in a document of 1702, where it is referred to in such a way as to indicate that it was already well-known. 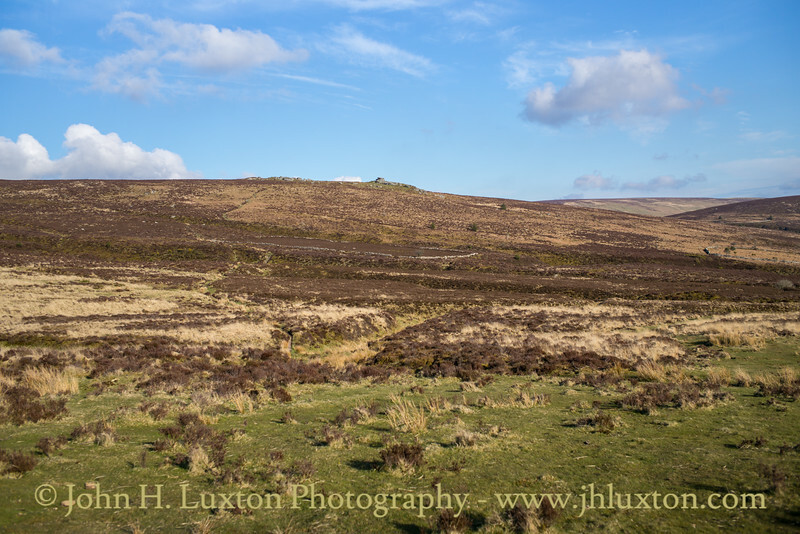 It has been suggested that it may have been erected by the monks of a local Benedictine Order ("Bennet" was a common form of "Benedict") or it may be named after William Bennet, who was a miner who attended a Stannary Parliament on Crockern Tor in the early 16th century. 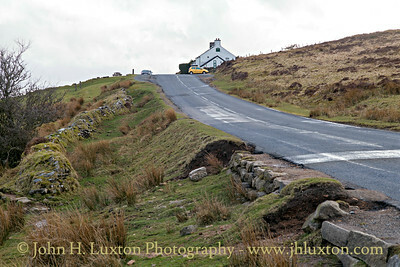 Moorland Road - The B3212 near the Warren House Inn, Dartmoor. 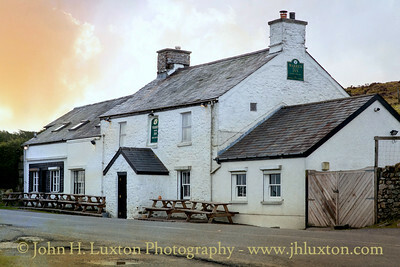 This historic Warren House Inn lies in an isolated location on Dartmoor a couple of miles east of Postbridge on the B3212 road. 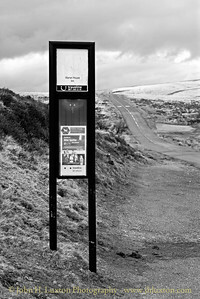 it has no mains facilities water comes from a spring and it has its own generating facilities. 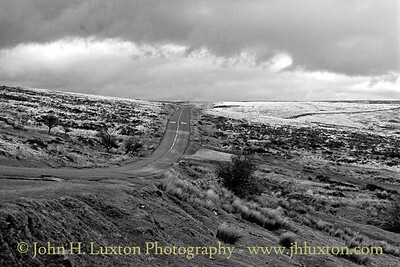 Once it served miners working at the nearby Vitifer and Golden Dagger Tin Mines until these closed in the 1920s / 30s. 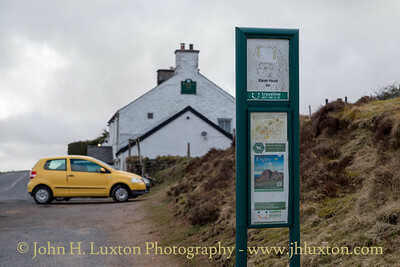 Today it is a popular stopping off point for those crossing the moor. 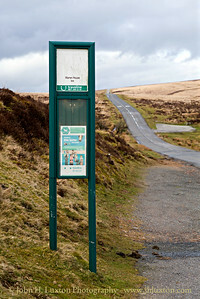 Warren House Inn Bus Stop serves the seasonal "Transmoor Link" bus service. 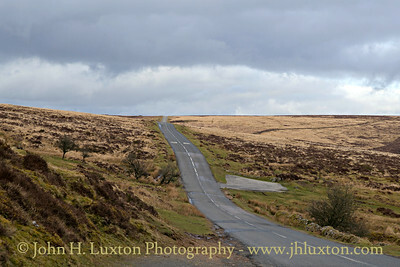 This view is taken looking towards Moretonhampstead along the B3212. 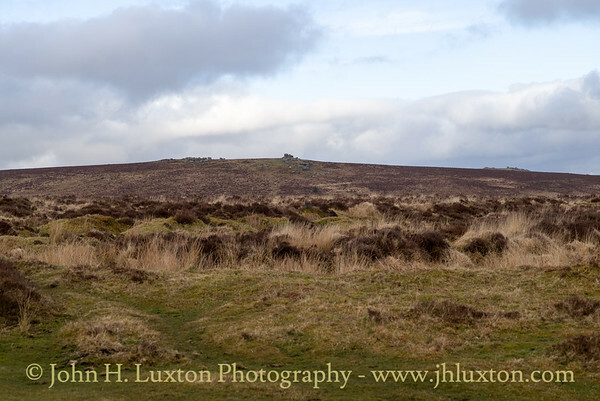 View to Birch Tor from near Warren House Inn. 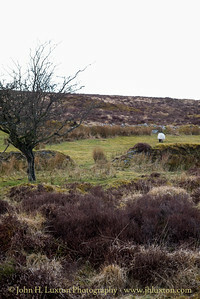 The site of the former "Kings Oven Bungalow" an isolated bungalow which was located a few hundred yards east of the Warren House Inn. 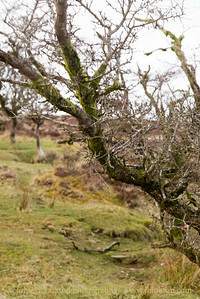 Tree detail at Kings Oven near the Warren House Inn. 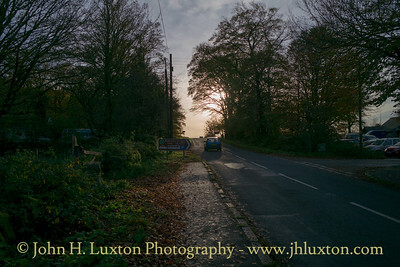 "To the Sunset Bound" - A late autumn afternoon looking west from Postbridge.